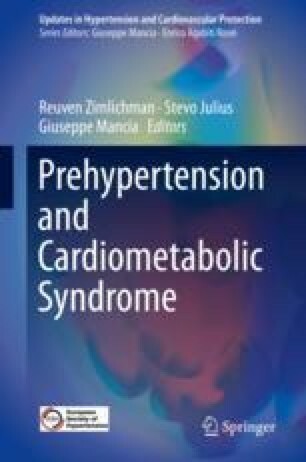 In the recent years, the number of evidence has been accumulated that the unfavorable change in the cardiovascular structure and function precede the development of hypertension among the offspring of hypertensive parents. Associations of parental hypertension with blood pressure elevation in offspring have been indicated by cross-sectional and longitudinal studies. Morphological and functional changes in the left ventricle and large arteries in subjects with positive family history of hypertension might by many years precede development of hypertension. Epidemiological studies have shown that healthy offspring of hypertensive patients exhibit some metabolic disturbances such as hyperinsulinemia, insulin resistance, and lipid disorders, features that may be predictors of future cardiovascular events. Recently, an accumulating body of evidence suggests that offspring of mothers with preeclampsia have higher blood pressure during childhood and young adulthood compared with offspring of women without preeclampsia. Preventive measures of and early intervention for cardiometabolic risk in individuals with parental hypertension should be reinforced.